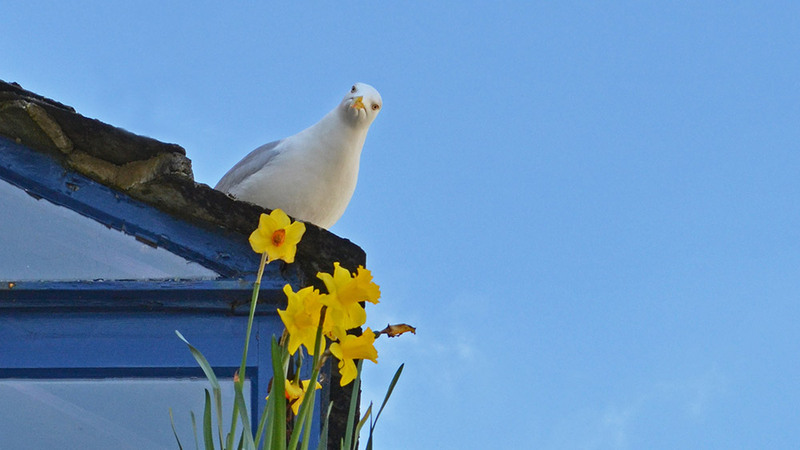 A cheeky Salcombe seagull has been snatching ice cream cones out of the hands of holidaymakers before they’ve even had a chance to lick. Even more surprisingly, the barmy bird, who locals have named ‘Minty’, appears to have developed an exclusive craving for mint choc chip and only swoops when its beady eyes spot the distinctive green scoops. Ahead of the summer season, Salcombe Town Council has issued a warning to all holidaymakers with a penchant for mint choc chip and have recommended that they remain either indoors while eating their ice creams or beneath an umbrella. Police have advised that anyone being stalked by Minty should remain calm and take immediate cover in the nearest shop doorway. A helpline has been set up for anyone who might have been traumatised by the brazen gull and left holding an empty cone. Happy April Fools’ Day from All at Toad Hall Cottages! !